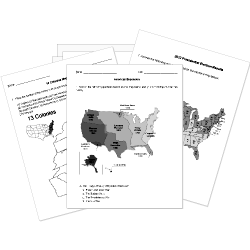 You can create printable tests and worksheets from these Grade 4 Africa and Middle East questions! Select one or more questions using the checkboxes above each question. Then click the add selected questions to a test button before moving to another page. What was the route slave ships took from Africa across the Atlantic Ocean to the Americas known as? What term best describes the Africans legally enslaved by the European Slave Trade for the sole purpose of financial gain? The European Slave Trade robbed Africa of its greatest resource. What was this resource? The country of is the last remnant of the empire of the Ottoman Turks. Where do Phoenicians live today? In what European practice does a person act as another's servant for seven years and then was set free with a small amount of pay? Which term refers to the forced removal an dispersion of Africans from their homeland? What did many African captives show by participating in mutinies on the slave ships? Europeans who participated in the slave trade held the false belief that Africans were and uncivilized. What happened to Kara Mustafa, the leader of the Turkish army? His head was brought to the Turkish king in a velvet bag. In 1400 Portuguese explorers arriving in Africa were surprised to find how highly civilized counties like Ghana, Mali and Songhay were. African rulers traded prisoners to the Portuguese for guns and gunpowder.